It includes a French-girl-favorite airline. To be completely honest, I’ve always had a fear of flying. It wasn’t until my S.O. and I became long-distance that I was able to even get myself to the airport alone (pathetic, coming from an almost 24-year-old, I know). So naturally, when I was given the opportunity to fly to Paris for work, all my fears began to come back. A few days before the trip, I wanted to really research and come up with smart ways that I could alleviate my anxiety around flying so that I could enjoy my trip. 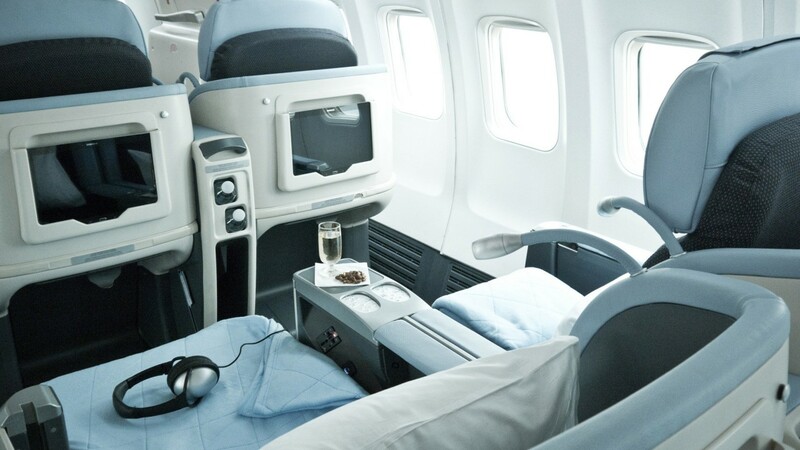 Knowing that I was going to be flying via La Compagnie, the last thing I wanted was to let a once-in-a-lifetime business-class experience on a French airline go to waste. With all of my findings, the three tips below are what I swear helped me get over my fear of flying (and could possibly help you before your holiday travels). If you’re like me and drink at least 8+ bottles of water each day, an easy way to get out of whack with your routine is by becoming dehydrated (cue: overheating, restlessness, and, you guessed it, anxiety). I brought an empty Swell Bottle with me on the plane and had no problem asking the flight attendants to fill it up whenever they could. Plus, after having a few glasses of champagne in the lounge pre-flight, I needed the balance. I always keep essentials oils by my bedside, deskside, purse, and beyond. Oils such as lavender, for example, have surprising benefits to your health such as inducing sleep, treating respiratory disorders (you can say goodbye to catching a flight cold), and, most important, alleviating stress. I rubbed this baby on my wrists and behind my ears right before takeoff, and it worked like magic. Speaking of inducing sleep, I was lucky that my flight was a red-eye, so I would arrive wide-eyed in Paris the next morning. Thanks to my essential oils as well as La Compagnie’s fully reclining chairs (and perhaps some dark-chocolate-covered melatonin…), I was able to sleep through most of the flight and relax. Try your best to book a later flight, so it syncs naturally with your sleep schedule. Especially when you’re flying internationally, this will also help adjust to your new time zone.